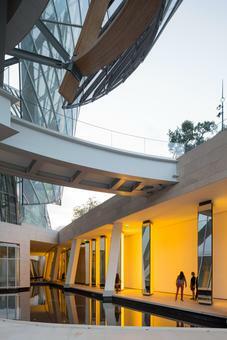 Olafur Eliasson’s Inside the horizon, 2014, developed especially for the new Frank Gehry–designed Fondation Louis Vuitton in Paris, adds forty-three triangular columns to the colonnade opposite the museum building. 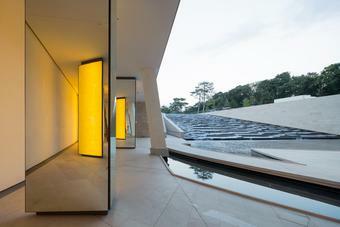 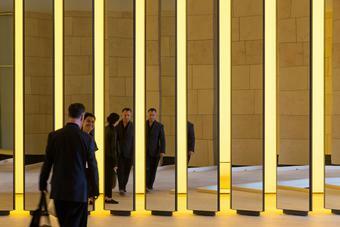 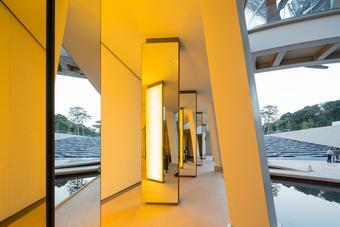 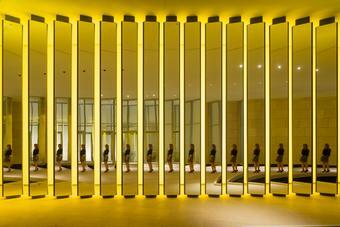 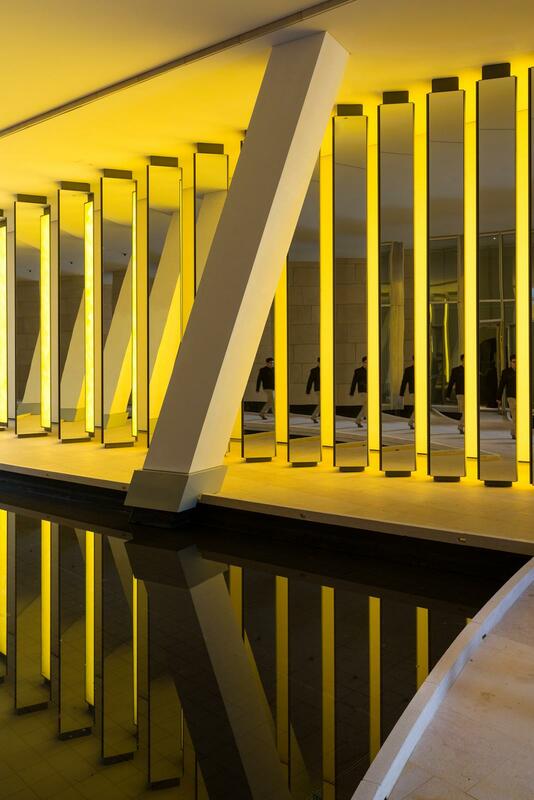 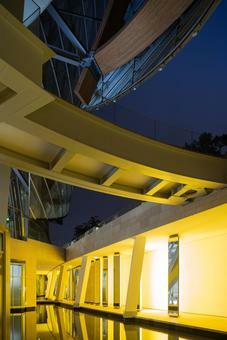 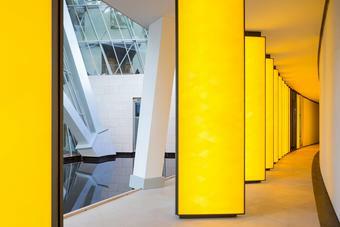 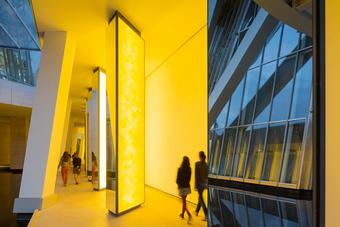 Two sides of each column are clad in mirrors, while the third is made of yellow glass tiles and illuminated from within. Running the full length of the colonnade, the work presents a vibrant play of light, shadows, and reflections, and offers constantly changing perspectives.